Facebook is one of the web’s most popular sites, with millions and millions of visitors each day. As the social networking behemoth continues to grow, more and more business owners and marketers are starting to realize the power that Facebook holds. If you are a business owner and you are not yet harnessing the power of Facebook, now is the time to start. Thankfully, it’s much easier than it used to be to establish a presence for your business on Facebook. 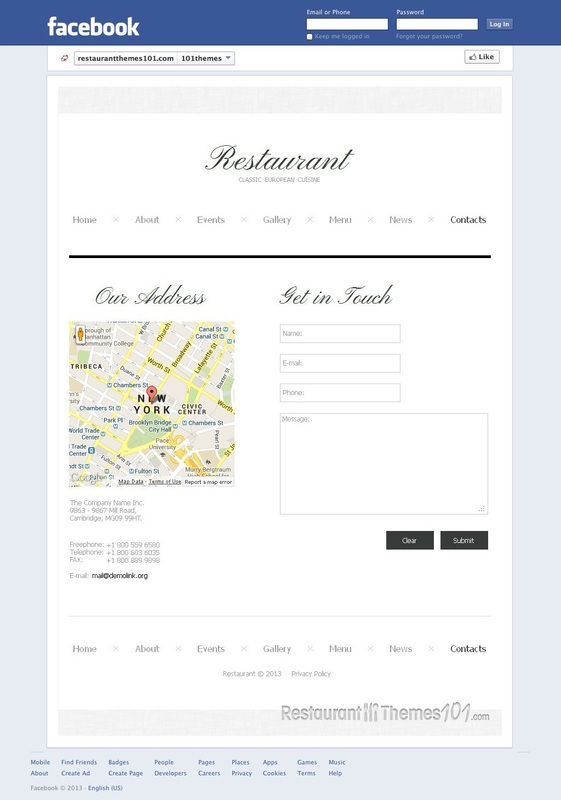 Restaurant Classic is a restaurant template for Facebook from developer Mercury, available on the Template Monster marketplace. This template is very simple, and it is laid out in a very ergonomic way. 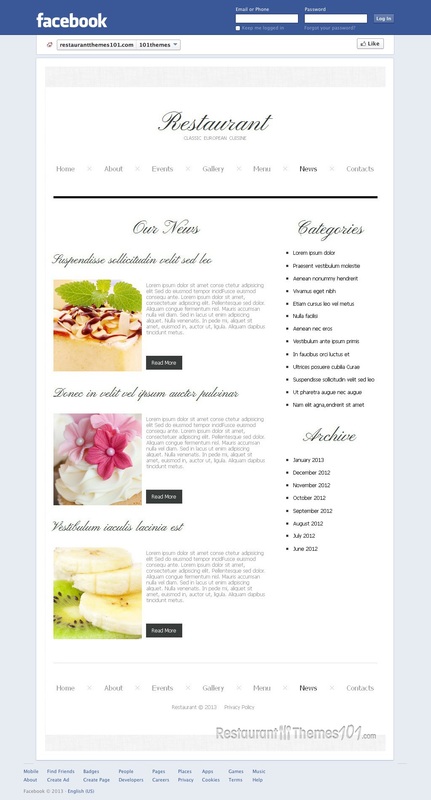 Unlike many competing templates, this restaurant template for Facebook is clutter-free and only gives you the basics of what your customers will want to see on your page. The simplistic layout of Restaurant Classic makes it perfect for upscale/fine dining establishments, although it is flexible enough to be used for just about any type of restaurant or café. 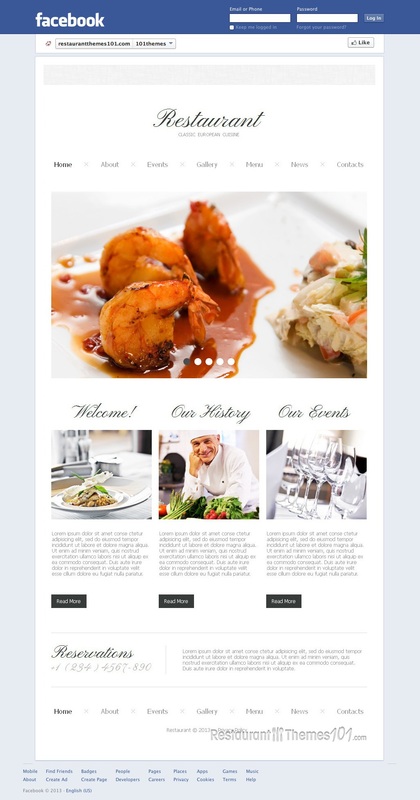 The template features a large image slider, hosted front-and-center, where you can show off your tasty dishes. 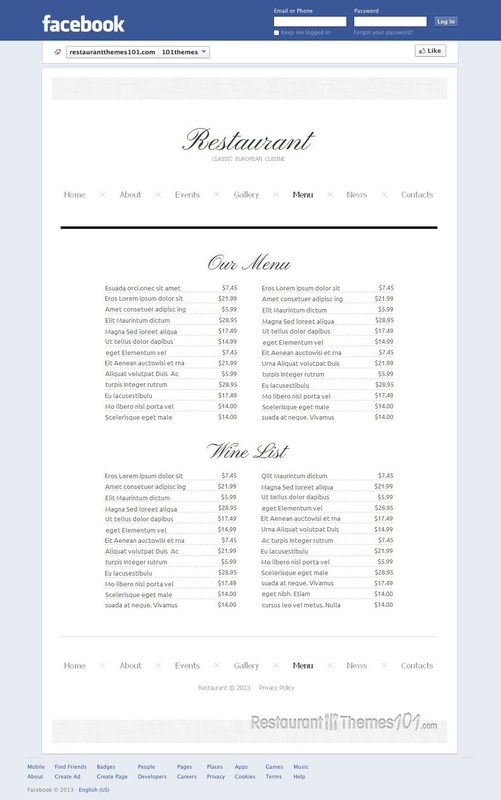 Just above the slider is the menu, where you can place links to all the various pages (restaurant menu, contact us page, about us, etc.) Towards the bottom of the page is a place to put your phone number, and spaces to place various other links and descriptions. 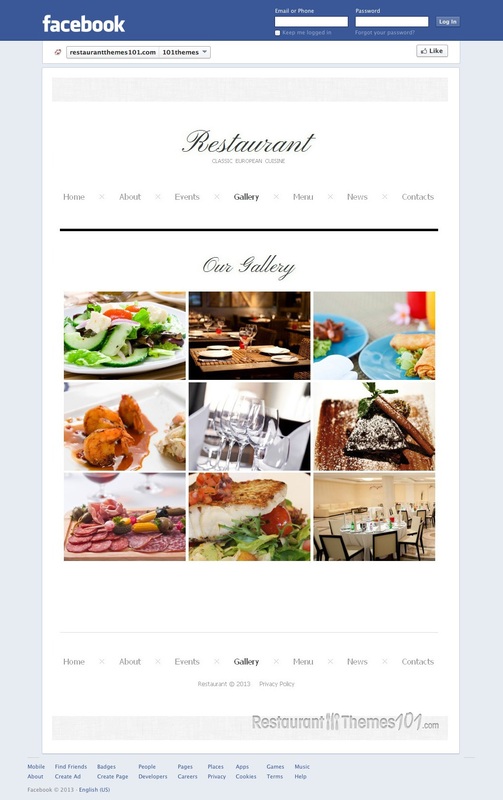 Like most Facebook templates on the Template Monster marketplace, Restaurant Classic is powered by Moto CMS. 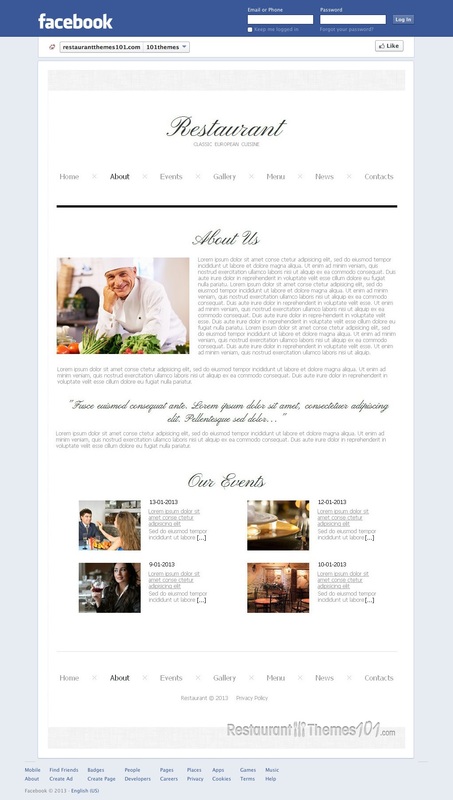 Moto CMS is a content management system that is integrated into this restaurant template for Facebook. Essentially, it allows you to add and edit content, blog posts, pictures, etc. without having to hand-code anything. 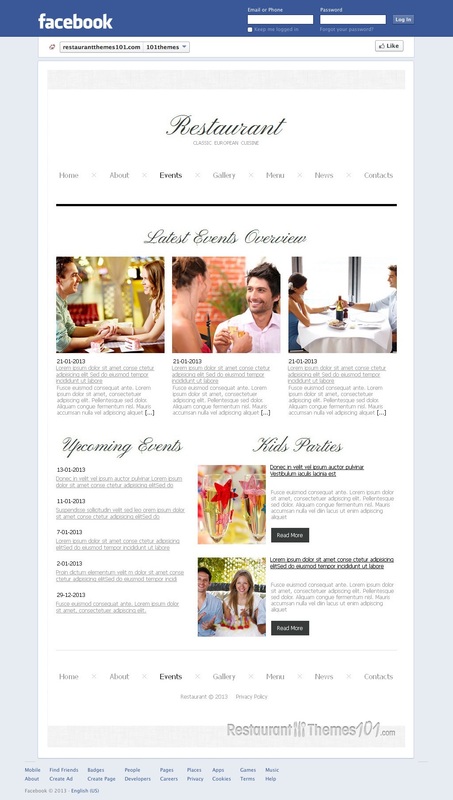 You can also use Moto CMS to customize each design element to fit your business. Using this CMS, you can have a professional looking Facebook page for your business built in a matter of minutes!